Browse for Wichita area real estate, homebuilders, finance companies, mortgages, Wichita real estate agents, realtors, condominiums and more. 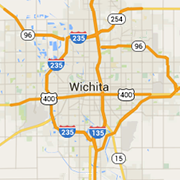 Find Wichita new homes, pre-owned homes and houses for rent in Wichita. Come Home To Quality. Custom New Homes in Wichita. Featuring over 2 miles of shore line surrounding a pristine 66 acre, 30' deep water lake, ideal for boating and water skiing. Building Memories In Wichita. Find the perfect home with Schellenberg Development. Security 1st Title is the leading provider of Title Insurance, Abstract Products, and Closing Services in the State of Kansas. We are here to support your real estate needs. Choice. Quality. Location. Reputation. We deliver on all accounts.